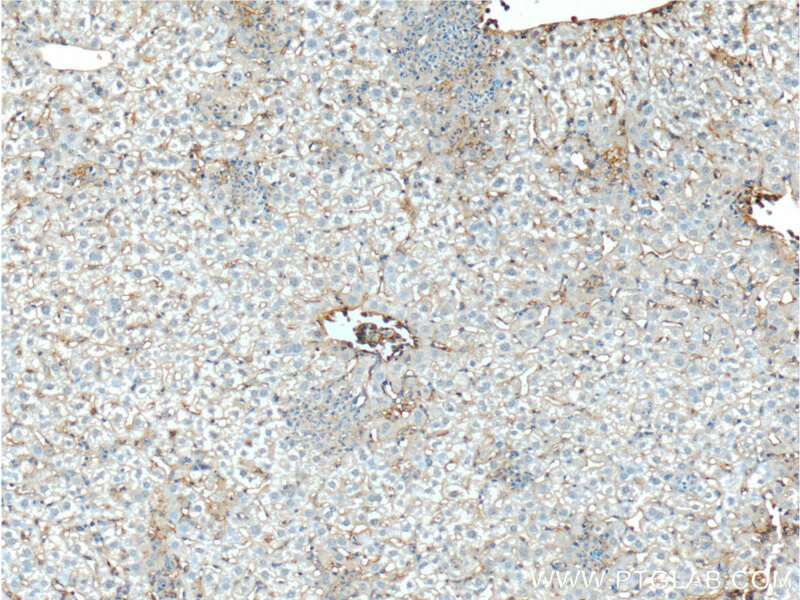 Immunohistochemistry of paraffin-embedded mouse liver tissue slide using 10020-1-AP (Icam-1 antibody) at dilution of 1:200 (under 10x lens). 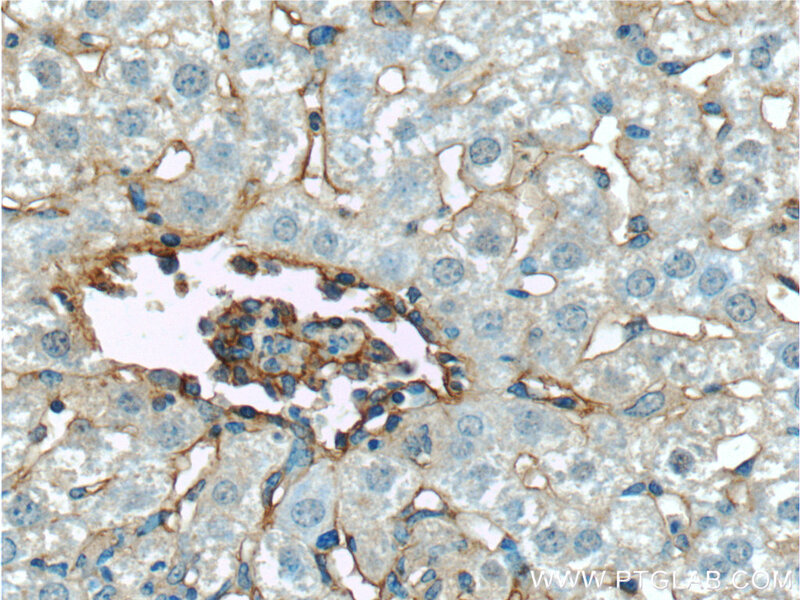 Immunohistochemistry of paraffin-embedded mouse liver tissue slide using 10020-1-AP (Icam-1 antibody) at dilution of 1:200 (under 40x lens). ICAM-1 (Intercellular Adhesion Molecule-1, CD54) is a glycosylated, transmembrane protein, a member of Ig super family. This protein involves in cell adhesion by interacting with a number of 2 integrin family members such as LFA-1 and Mac-1. Its expression is regulated by chemokines. This antibody is raised against mouse Icam-1 which is a cell surface sialoglycoprotein with an apparent molecular weight of 95-100 kDa (PMID: 10064885; 2571505). Anti-inflammation Effects of Oxysophoridine on Cerebral Ischemia-Reperfusion Injury in Mice.